Overview: Welcome to the Capital Sentencing Guide. The Guide was created by the Capital Staff Attorneys of the Arizona Death Penalty Judicial Assistance Program to assist Arizona’s Superior Court judges. 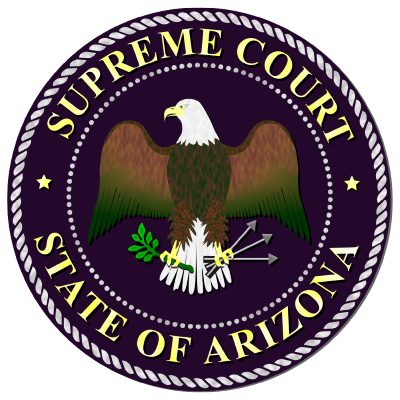 The Guide summarizes all Arizona Supreme Court opinions interpreting aggravating and mitigating circumstances since Furman v. Georgia, 408 U.S. 238 (1972). The "Aggravating Circumstances" section organizes the summaries by the particular statutory aggravating circumstance. A.R.S. § 13-751(F)(1)-(14). The "Mitigating Circumstances" section organizes the summaries by the particular mitigating circumstance, both statutory and non-statutory. The "Case Summaries" section collects the information by case name and is in chronological order. An additional section discusses Arizona's Enmund/Tison statute. A.R.S. § 13-751.01(P). Cases Marked with an *: Denotes cases in which the Arizona Supreme Court reduced the death sentence on direct appeal. Statutory re-lettering ignored: At the present time, and for almost all of the past 30 years, the aggravating circumstances are found in subsection F and the mitigating circumstances in subsection G of A.R.S. § 13-751. For a brief period - August 9, 2001 to August 1, 2002 - each subsection had one higher letter: aggravation was in G and mitigation in H. The Legislature then reverted to the original designations. Due to the brief time in which these changes were in effect, the Guide cites only to the current and longstanding designations to avoid confusion. Recent Additions to Aggravating Factors: Effective August 12, 2005, the Legislature added four new aggravators – (F)(11), (F)(12), (F)(13) and (F)(14). The Supreme Court upheld the (F)(13) aggravator in State v. (Dale Shawn) Hausner, 230 Ariz. 60, 280 P.3d 604 (2012). The remaining three factors have not yet yielded reported cases. Reported Ring Harmless Error Cases: Only those Ring cases reviewed for harmless error in which at least one aggravator was found to be harmless beyond a reasonable doubt are reported in the Guide. The facts and legal analyses used in these opinions can be relied upon, even if the ultimate decision of the Supreme Court was to remand the case for re-sentencing before a jury. The fact that an aggravator was found not to be harmless beyond a reasonable doubt does not imply that the evidence was, or later will be found to be insufficient to support the aggravator, and should not be relied upon as such.